Blames China, Russia, Israel and Hard Right in Iran and U.S.
Ayatollah Ali Younesi, a senior deputy to Iranian President Hassan Rouhani, said today in Tehran he was “not optimistic” about reaching a final nuclear deal with P5+1. Younesi was Iran’s minister of intelligence in Khatami administration and his views are believed to be close to Rouhani. “I am not optimistic so much,” Younesi said in an interview with Fars News Agency. Younesi’s remarks are the first by an Iranian official to openly question the motives of Russia and China in the ongoing nuclear talks, lumping them together with the Israeli lobby and the American and Iranian hard right in opposing a comprehensive deal. Younesi did not provide any details on points of disagreement with P5+1. 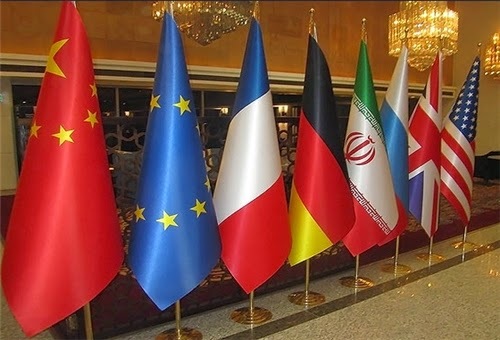 It is believed that the final agreement expiration date, the so-called sunset clause; Iran’s enrichment capacity, the so-called SWU capacity; and the sequence of lifting of sanctions are the three most contentious issues still not resolved. On the sunset clause, the Iranians seem to want an expiration date of 2021, which corresponds with the supreme leader’s call for establishing an industrial-scale uranium enrichment program by that year. The P5+1 seem to be arguing for an expiration date of at least 12 years or more to prevent an early breakout capacity for Iran. On enrichment capacity, Iran argues that it already has 9,400 centrifuges in operation and wants to keep them operating during the length of the final agreement, adding that it has invested so much to attain this capacity, but is ready to disconnect some 11,000 centrifuges that are already installed but not operating. The P5+1 wants to cut the current number of operating centrifuges to few thousands, again to prevent a short breakout period for Iran if it decides to produce a nuclear weapon. And finally, Iran seems to be arguing that it is ready to implement all provisions of a final agreement within months not years, such as reconfiguring Arak heavy-water reactor and cutting its current inventory of enriched uranium, and in return it wants to see all major sanctions be lifted within that short period. Here the Iranians seem to want an end to those sanctions before Obama leaves office in January 2017. The P5+1 seems to be proposing a longer sequence for step-by-step lifting of sanctions related to changes made to the current Iranian nuclear program. If Iran can not find the Russians or Chinese as even semi-supportive to sufficiently suit them then that is indeed a serious sign that the Iranian hardliners have such sway that they've have held Rouhani to a line that simply doesn't suffice to satisfy Western expectations. Good post, Nader, in accurately presenting the Iranian view. "Russia, China, Iranian and American extremists and the Israeli lobby in Washington"
In my opinion, these groups shouldn't be considered as "lumped together," which would suggest a sharing of interests among them or even a conspiracy. Instead I suggest this itemization presented for purposes of ID. And it dovetails with the Rouhani administration's own struggles with political power centers in Iran opposed to nuclear compromise or any sort of deal.